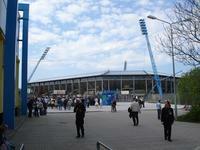 First stadium in the central Hansaviertel district was built in early 1920’s. 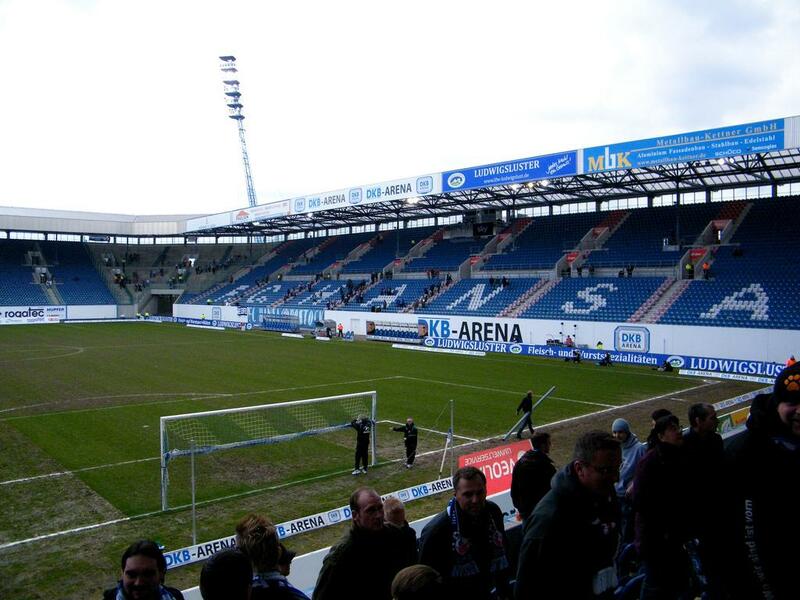 However it wasn’t in the exact location that today’s ground stands. First stands in this spot were erected by local residents in 1950’s, with opening ceremonies of the 17,000-capacity ground organized in 1954. 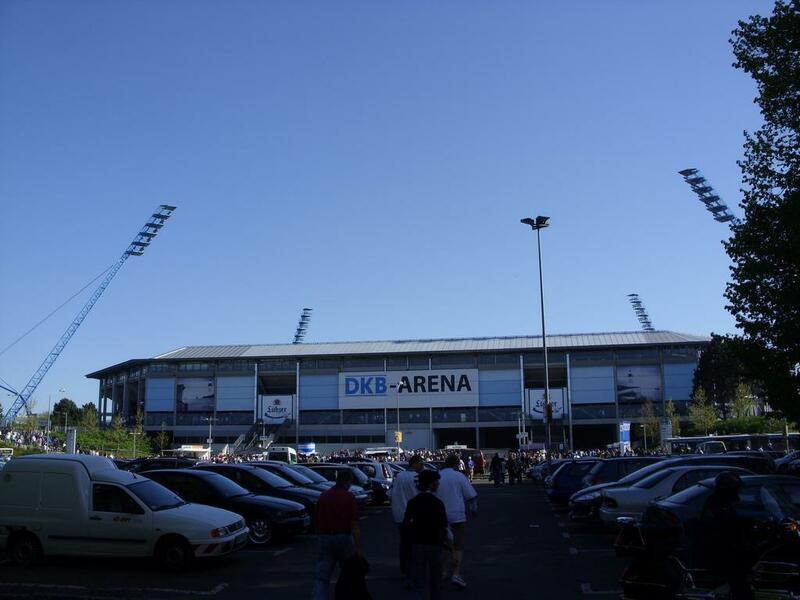 At that time there was no cover or lighting and stands with poor sightlines were surrounding the pitch and an athletics track. 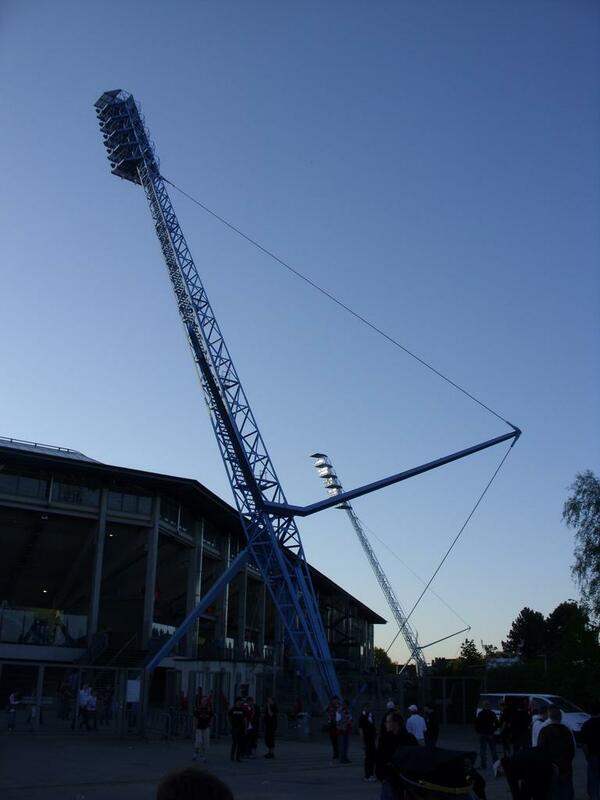 First improvements came in the following decade – very distinctive floodlight masts appeared in the skyline in 1960’s and stand to this day, though the ground has changed entirely. 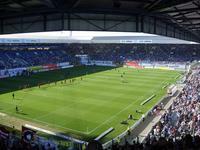 Their inclination allows to “overlook” new, football-specific stands. 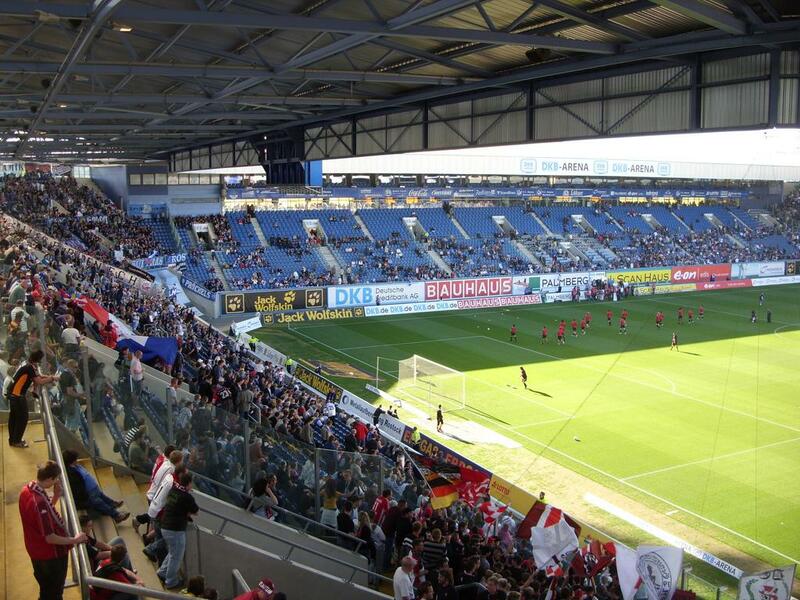 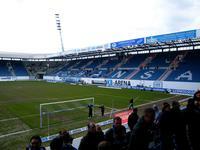 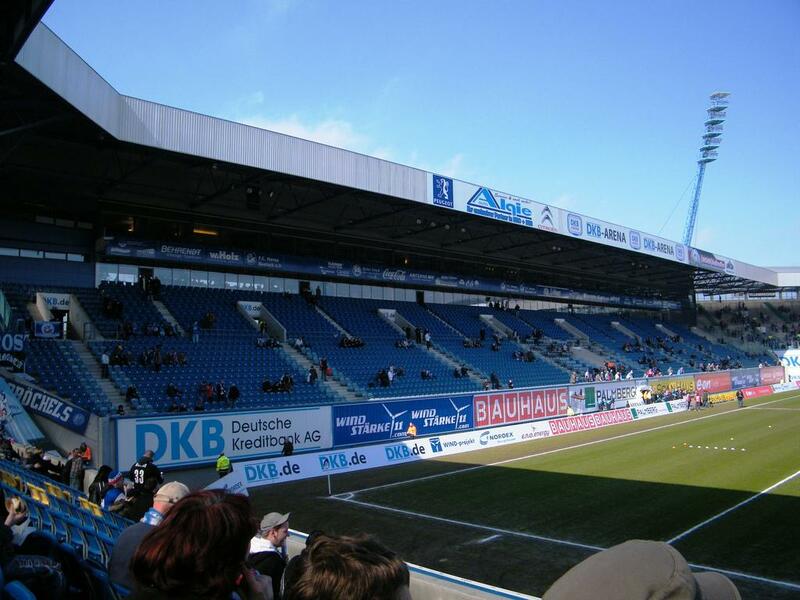 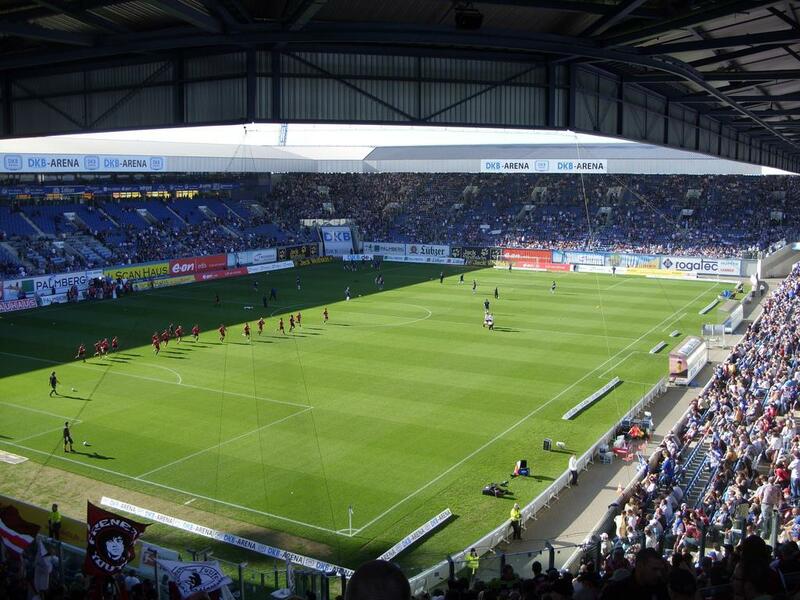 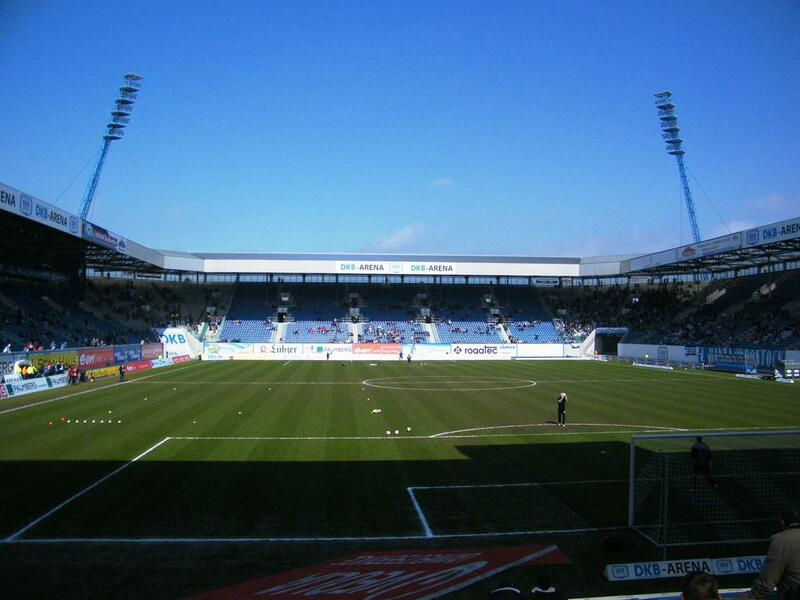 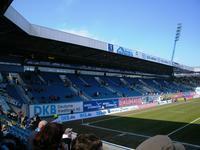 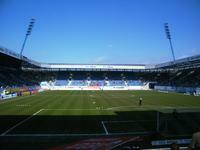 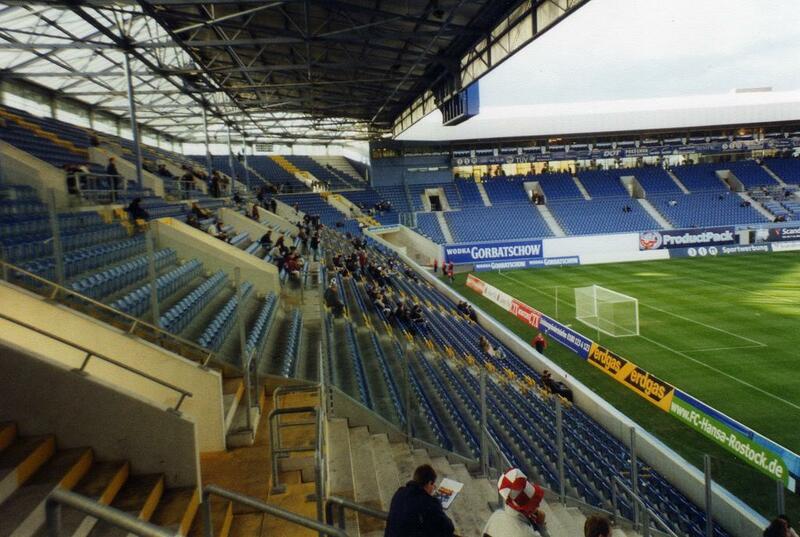 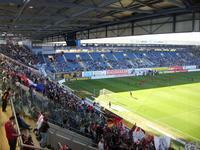 Those, along with seating and cover were built in 2000-2001 and made the ground one of the best in former DDR. 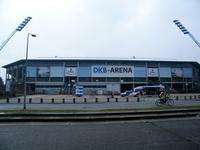 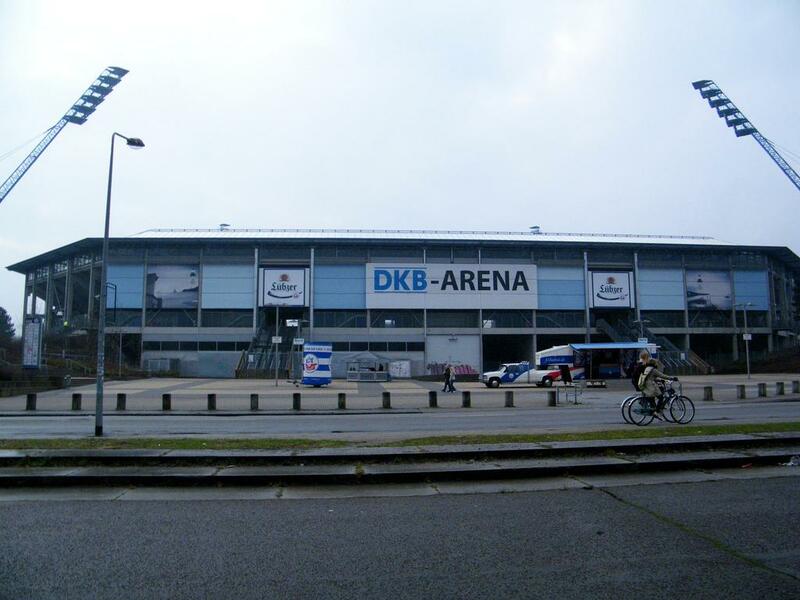 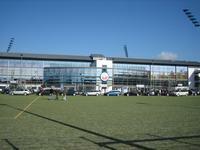 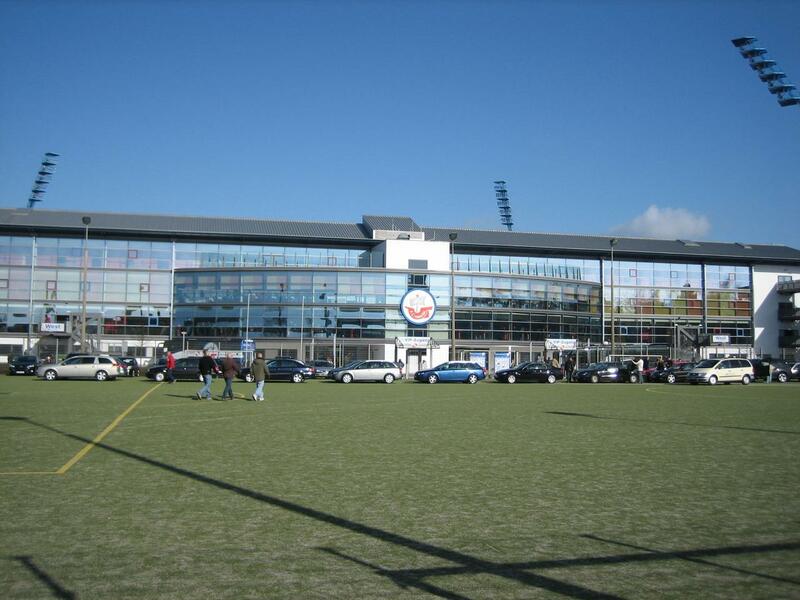 In 2007 naming rights were acquired by Deutsche Kredit Bank for a decade, thus until 2017 the ground is known as DKB Arena. However for supporters it’s most frequently just Ostseestadion, like it used to be, with Ostsee being German for Baltic Sea.